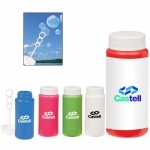 Customized bubbles printed with your brand logo or slogan will make a fun and joyous business gift or wedding favor and they will skyrocket your brand popularity. 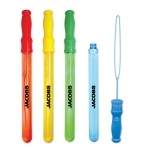 Your recipients will have hours of fun with these bubble wands. 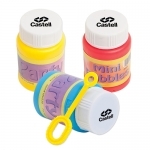 Watch the real fun that begins with these custom printed bubbles! You can order these in bulk before the next outing where you are supposed to meet kids. 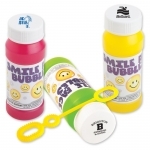 Logo printed bubbles are ideal for marketing any business during the spring or summer. 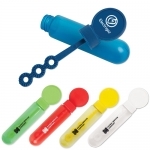 You can give away these bubble spinners during outdoor events such as trade shows, birthday parties, wedding events, fairs, community events and other events. We offer attractive best buy prices on bulk orders along with free online design proof and artwork assistance. Your brand can benefit from our fast production and fast shipping facilities. We can guarantee 100% customer satisfaction and 110% lowest price match on all orders. 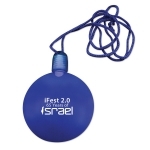 Do you want to carry your brand on the go and amuse your young customers? You should give them any of our customized bubbles. Kids hate remaining at home during summer so when they go outside they will definitely carry these bubbles with them. 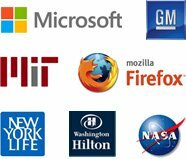 In short, they will catapult your brand logo into the limelight. 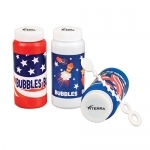 At Promo4kids.com, you will find various promotional gifts for kids but there are very few that can match the sentimental values of these custom printed bubbles. Yes, we mean it because they peak fun meter of young kids and trigger excitement in their parents, too. Kids will never forget your brand logo printed over these bubbles and they will remember it as well as discuss it with their friends. Also, their parents will take you seriously than before because you kept their kids occupied and happy. Bubbles are symbolically associated with smiles and dreams. You can easily bring lots of smiles on the faces of kids and inspire them to dream big and achieve their target. These "blowing pearls" are offered in bottles of different colors that will definitely attract kids. 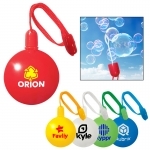 Logo printed bubbles make great individual gifts as well as combo gifts because kids are mad about them. They will show it to their friends and discuss it with pride thereby bringing you a big promotional advantage. Just remember, every bubble that they draw will bring them closer to your brand. You can order these promotional bubbles before you hit the next trade show or personal celebrations. 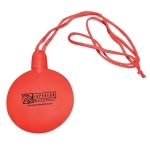 For maximum exposure, you can combine these bubbles with other promotional giveaways for kids such as water guns or party noisemakers. 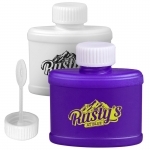 You can take advantage of the large imprint area in the front of the bottle. 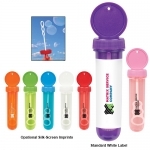 Ideal for marketing health clubs, gyms, summertime incentive gifts and company picnics always! 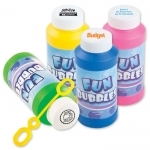 So make waves on during your next promotional event by ordering these bubbles or bubble necklaces from Promo4kids.com. 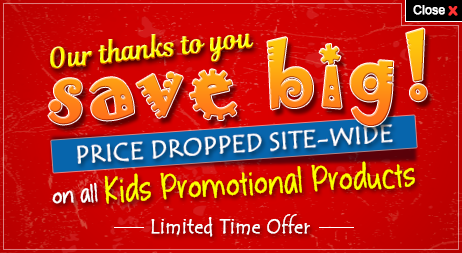 Call us at 855-454-3786 or email us at info@promo4kids.com to know more about promotional advantage, best print options and best price benefits on these bubbles.